A dazzling centerpiece for your holiday celebrations! 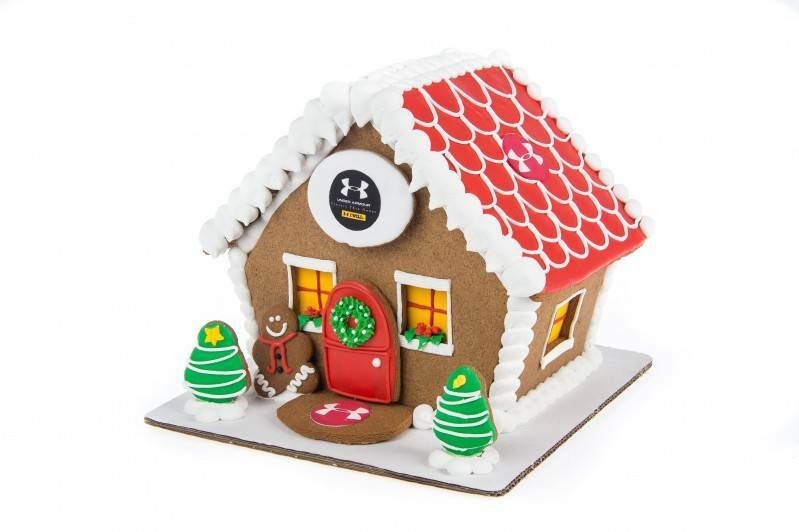 Our personalized Custom Gingerbread House is hand made to order, made from fragrantly spiced molasses based gingerbread cookie dough. Each panel is hand decorated in traditional gingerbread house style- and of course, embellished with your own artwork printed in full edible color. Our Gingerbread House stands 10" tall and is displayed on a white cake board that measures 10" x 10". Packaged in a cellophane bag and shrink wrapped.